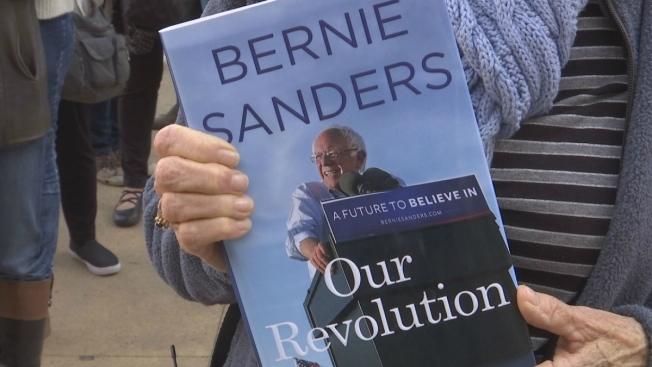 Bernie Sanders supporters turned out at UC Berkeley's Zellerbach to hear the senator from Vermont speak as part of his book tour on Friday. Berkeley still loves Bernie. Some attendees said the event felt like a group therapy session for progressives shocked by the election of Donald Trump. "I think I need some sort of therapy about this, to kind of decompress," said Nikki Pin Mazza of Berkeley. "I really needed to be here today." In his speech, Sanders told his supporters to have hope and compassion, but hold fast to their ideals. 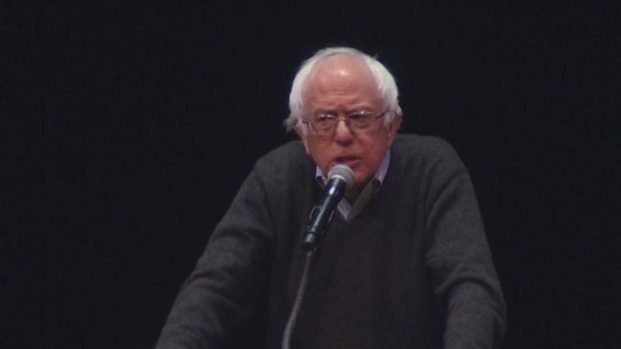 Vermont Sen. Bernie Sanders is in the Bay Area as part of a book tour. Scott Budman reports. "Despair is not an option, not an option. Not just for you, but for young children, and the future of this planet," Sanders said. "No compromise with racism, with sexism, with homophobia, with xenophobia. On that issue we will not compromise." Former "Berners" said they never imagined that the campaign that started with so much attention to a progressive candidate could end with an incoming administration that threatens their values and ideals. Fay Guarienti of Dublin said she was looking for direction from the former presidential candidate. She already donates to causes she believes in, mostly environmental organizations, and talks about issues she cares about with her friends. But she feels stuck in a "bubble," and wonders what next steps she should take to reach out. "With all his followers, young and old, he can give us a lesson in how to be proactive," and heal the wounds of a divided country, she said. "I don't think bubbles are unique to big cities," said Soli Alpert, a Cal student from San Francisco who was handing out flyers for Kate Harrison, a Berkeley city council candidate running to replace Jesse Arreguin, who won the mayoral race with Sanders' endorsement. "People living in Oklahoma are also in a bubble. I like my bubble." Many hoped that Sanders would lend his support to local issues and candidates. Kabir Kapur of Richmond said he wants Sanders to get involved with "local politics, local elections, Democrats and progressive people running for school board and city council and state legislatures, not just national politics."